IGNITE Bollywood, a variety show hosted by MonstrARTity, will take place Saturday, July 11 at the Rose Theatre in Brampton from 5 p.m. onwards. Photo supplied by MonstrARTity. Details: Global News’ Liza Fromer, Antony Robart, Farah Nasser along with ET Canada’s Entertainment Reporter Sangita Patel will host the grand Canada Day celebrations with Mississauga Mayor Bonnie Crombie at 4 p.m. at Celebration Square in Mississauga. Performers include: The city’s very own DJ: Starting From Scratch, Peter Katz, electric violinist Kytami, pop heart throb Scott Helman and headliner, international recording hip hop artist Kardinal Offishall. Cost is free. Details: Canadian Tamil Youth Association will present Thaalam 2015, the ultimate gaana/dance competition at The Rose Theatre, 1 Theatre Ln. Brampton at 5 p.m. 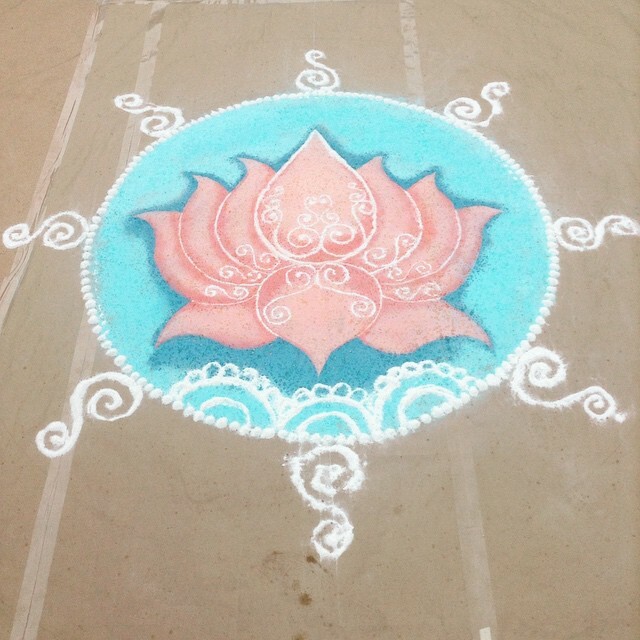 Details: The Aga Khan Park will host the Pan Am flame as part of Reflections – Celebrating our Cultures and Communities, at the Aga Khan Park and Aga Khan Museum, 77 Wynford Dr. Toronto at 4 p.m. Activities include: lantern-making, dance, poetry, music, a souk bazaar and more. At 8:15 p.m. the Pan Am flame will arrive at the park, carried by Leila Keshavjee, a young member. Details: MonstARTity Creative Community (MCC) will be hosting an IGNITE Bollywood event at the Rose Theatre, 1 Theatre Ln. from 5 p.m. onwards to celebrate the Pan Am and Parapan Am Games. 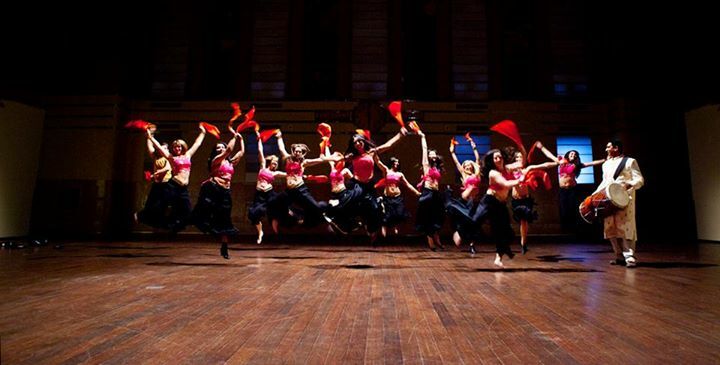 IGNITE Bollywood brings together world-class performers for a spectacular variety show featuring live music, dance and comedy acts and a free KidZone. Performers include Lopa Sarkar and Divine Heritage Artistry, Ferzana, Himanshu Merchant, Kim Chalovich and What’s On? TAP! Nick Reynoldson, Ernie Vicente, Preeti Torul and Nelu Handa (Burn Notice). Tickets cost $30/person (adult) and $10/child. 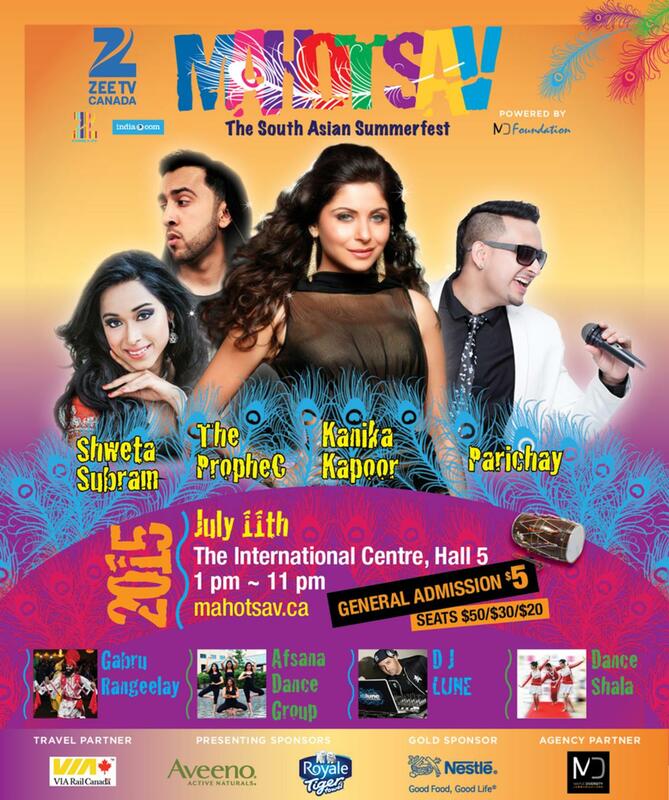 Details: Mahotsava is a summer South Asian event that’s taking place at International Centre (Hall # 5) 6900 Airport Rd. Mississauga starting at 1-11 p.m. Events include activities for the family, food and entertainment. Kanika Kapoot, the Bollywood singer behind super hits like Chittiyan Kalayian and Baby Doll will perform. Tickets cost $5/person (general admission) and between $20-$50 for the concert. Details: The Festival of India, a summer staple and a vegetarian foodie’s absolute delight is taking place July 18-19. Highlights include: A Rath Yatra or a parade that will wind down Yonge Street (Starting at Bloor Street and continuing south on Queens Quay. The action will then move to Centre Island where revelers can sample free vegetarian fare. Some 4,000 people are expected to attend. June officially signals the arrival of summer here in the GTA. So, slather yourself in sunscreen lotion and unearth those flip-flops. Check out these events in June 2015. Details: Besharam, Toronto’s hip and happening club, which defines itself as a destination for people of all sexual orientation and cultures, will be hosting Besharam Pride at the Revival, 783 College St. from 10:30 p.m. to 3 a.m. Tickets cost $10 (women) before 11 p.m. and $15 after. For men, it’s $20/person. Details: The 2nd Mississauga Halal Festival returns this year after a smashing success last year. The free event takes place at the Celebration Square in Mississauga from 11 a.m. to 11 p.m. and will include dozens of vendors, suppliers and products. The main goal is to bring suppliers, retailers and consumers all together under one roof, say organizers. Details: Metro Punjabi Sports Club will host a Kabbadi tournament at the Powerade Centre, 7575 Kennedy Rd. 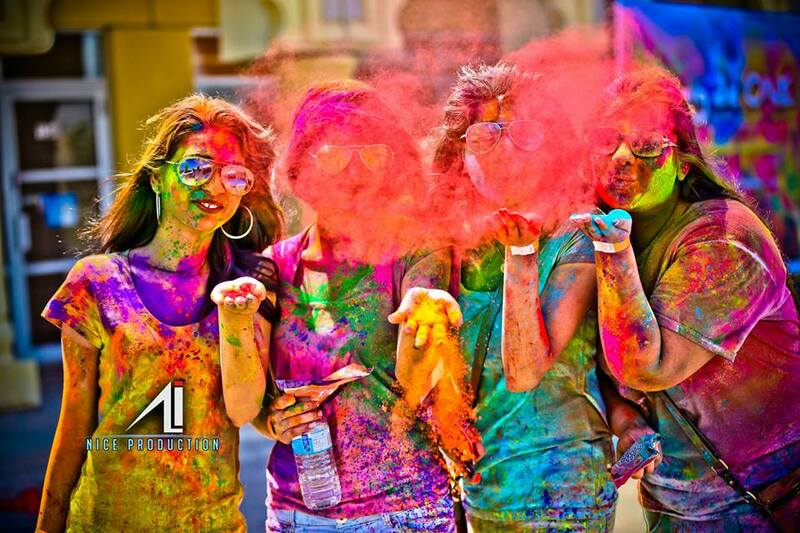 S.
Details: It’s the 2nd annual Rung De One, a celebration of the festival of Holi. The colour fest will take place between 12 noon and 5 p.m. at The Great Punjab Plaza, 2960 Drew Rd. Mississauga. Tickets cost $20/person. Details: The Toronto Classical Group will present an Evening of Enchanting Classical Vocal Music featuring Kaushiki Chakraborty. The event will take place at the Don Bosco Catholic Secondary School, 2 St. Andrews Blvd. Etobicoke at 7 p.m. Details: The Ontario Zoroastrian Community Foundation will be showcasing the North American Mobeds in a Khushali nu Jashan taking place at 1187 Burnhamthorpe Rd. E. Oakville, ON at 3 p.m. The Jashan will recognize the work of senior and youth mobeds that have served the community. There will be lunch and entertainment by the youth of Ontario Zoroastrian Community Foundation (OZCF).